Disclosure: This is a Veestro sponsored post, but all opinions are 100% my own. This past week was moving week. It started out with me dancing around in my living room to Britney Spears, packing up our eco-friendly, rented, plastic bins and coordinating all the pre-move-in details. It was busy and chaotic and exhausting and exciting all at the same time. 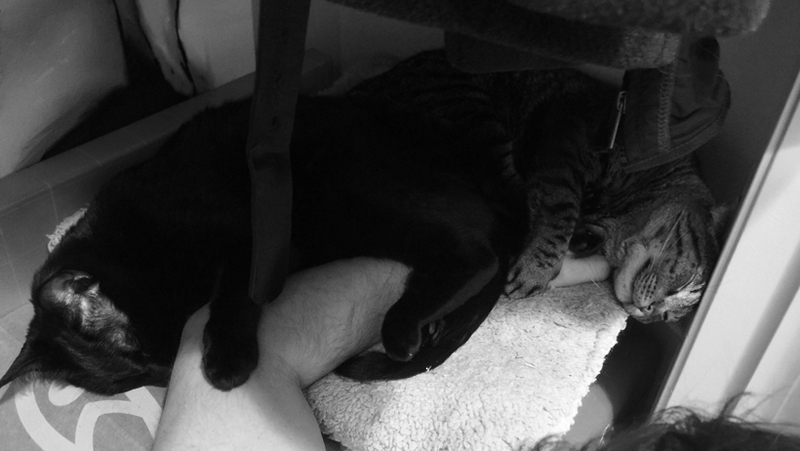 But in the end, we settled into our new place, happy an cozy. I am fully grateful for a fresh start right now. With the year I have had thus far, (here, here) a fresh start is exactly what my mind, body and soul have been craving. Moving Mentality. I have moved a lot in my life, and I used to dread it. But in the past few years I have turned my point of view around and feel gratitude for being able to live in a wide variety of neighborhoods and states. Looking back, I adore all the different places I have experienced. From Boston to NYC to DC to LA and way back to my hometown of Santa Cruz. Enter Veestro! 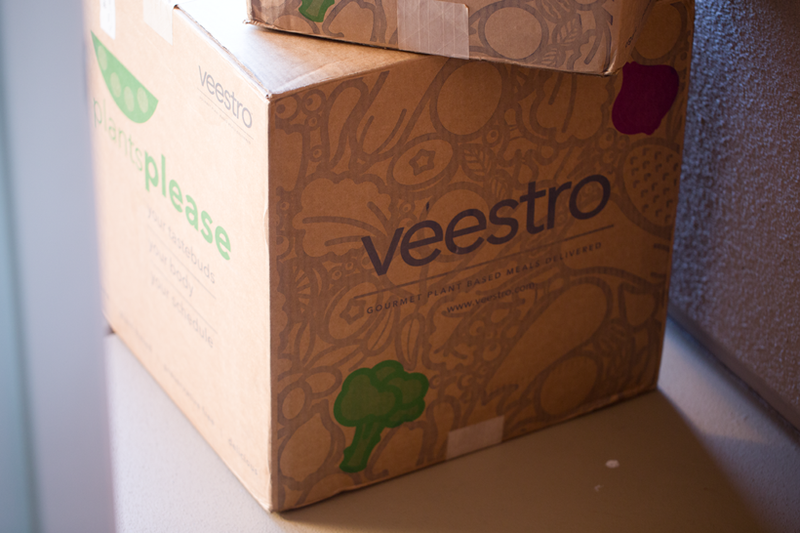 Everything with this move has been a bit easier because I knew I would be working with the plant-based meal delivery program, Veestro, for the first few weeks of my move. So I had one less thing to worry about: healthy, delicious vegan meals! I adore taste testing new recipes and meals, so with Veestro I feel like a kid in a candy store. I get so excited opening my freezer and deciding what meal I get to try out next. I will be trying out Veestro for 21 days, sharing my experience, photos, reviews and tips for success with you guys. And today, I'll give you an intro to Veestro and what it is about. 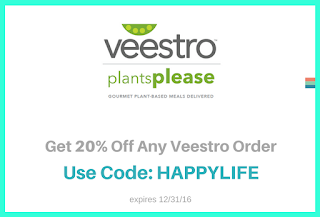 Plus, I will share a few photos, a $200 Veestro giveaway, and a coupon code for 20% off if you want to try these meals too! 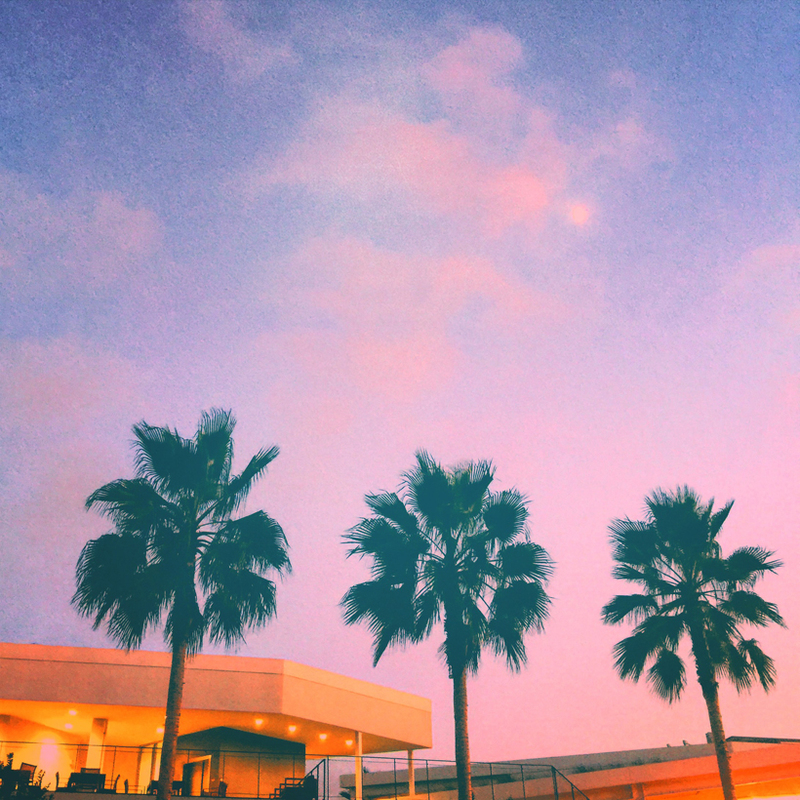 Moving vibes, cheers to new pink sunsets.. Happy doorstep with a few Veestro boxes..
Tower of options. My husband had fun picking out his faves. 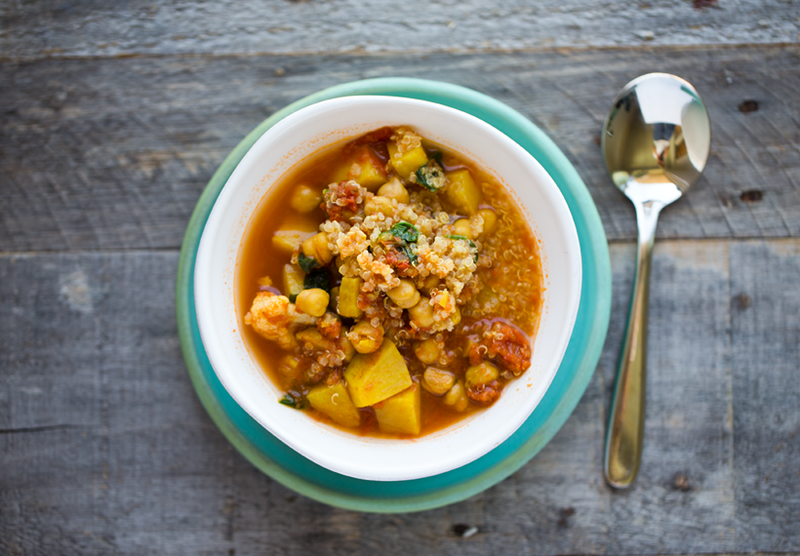 Chickpea Stew I had for lunch one day..
See, moving is exhausting for everyone..
21 Days of Vegan Meals. I am so excited to be trying out Veestro for 21 days this month. It is perfect timing for me because during a move, balancing cooking and unpacking can be a challenge. I looooove more than anything to cook, but even vegan chefs need a little help once in a while. It feels so great when other people cook for you! And that is what Veestro feels like. And for many people, cooking is a challenge in general. Time is precious, especially in our busy modern day world, and sometimes we need a little help in the kitchen to get nourishing meals on our table. 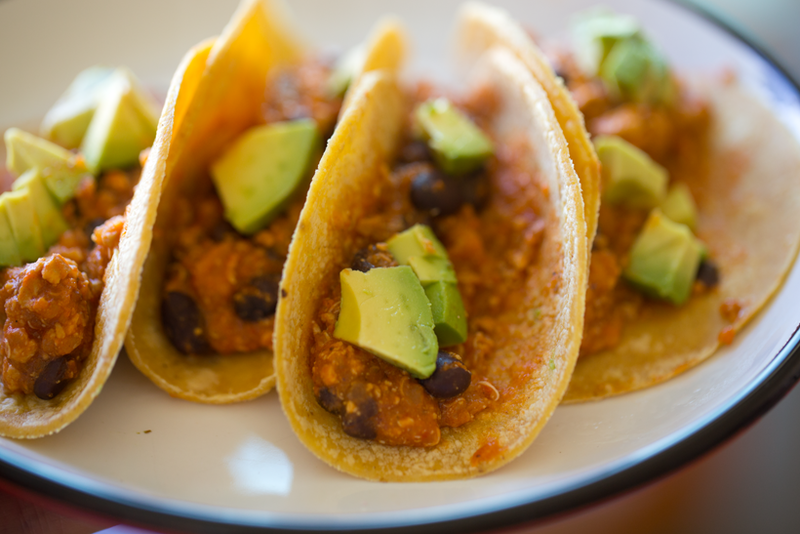 *three layer scramble I served in mini tortillas with some avocado for the most amazing breakfast tacos! Veestro is awesome for a few reasons..
1. Choose from a few different plans. Maybe you just want something to bring to work for lunch everyday. Or maybe you just want help with dinner. Or maybe you want the white glove treatment, three meals a day, done and done. 2. The meals are can be gluten free if you want! 3. Veestro makes an awesome gift or gift to yourself. Meal delivery is such an awesome gift idea for busy college students, elderly parents, newlyweds, busy couples, singles or new or busy parents. 4. Try Vegan, Easily! The best reason is that Veestro lets you try a healthy, vegan diet without much commitment, ingredient-purchasing wise. Veestro is so great for anyone who is looking to get healthy or try vegan. 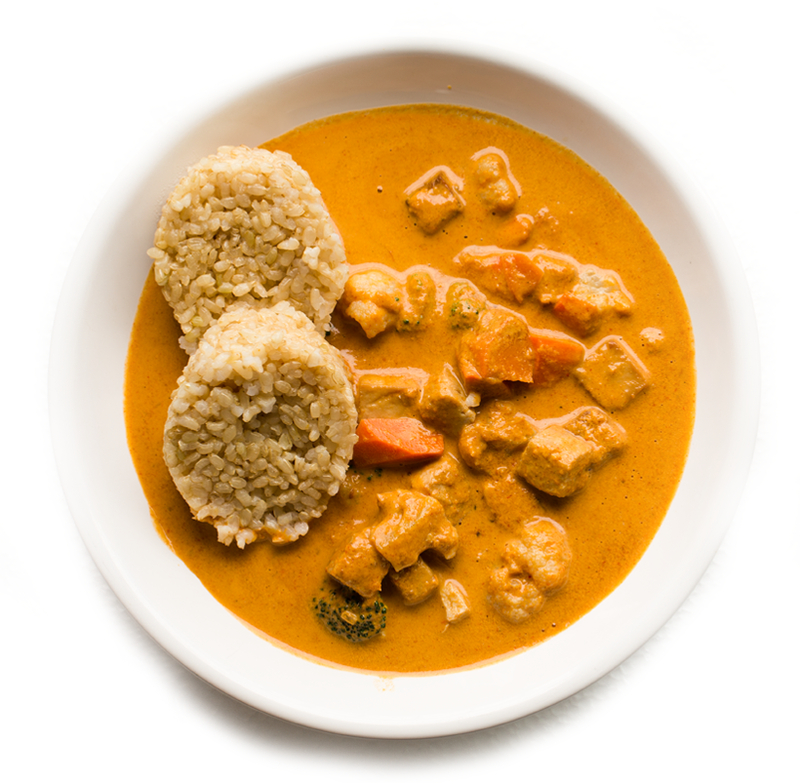 Life is so much more enjoyable when you are fueled with nourishing, healthy, flavorful, whole food meals. So this is one more option in life to fuel your life well! Not vegan?? Guess what, everyone will love these recipes. So, far, I have been so impressed with the flavors and diversity of the meals. The meals are very familiar. Comfort foods like lasagna, pizza, soups, risotto, burritos and more. How Am I Veestro-ing? So I have been doing a few days of 100% Veestro meals. Then because I love my smoothies, I usually make a smoothie for breakfast every single day. But the one time I am most LOVING Veestro, which was a surprise to me, is lunchtime! Oh my gosh it is so awesome to be in the middle of a workday and just heat up a chef-crafted vegan meal in a flash. Love that. For dinners, I have been adding a few fresh side salads to the Veestro entrees that my husband and I have been sharing and tasting. It is kinda a mix and match sort of thing. And I love that. I love having a main entree done. Some of the meals are larger than others, so you really have to find out what works for you and your calorie needs. So far I have seen meals ranging from 170-490 calories, so it varies. Don't forget to enter the $200 Veestro Giveaway at the end of this post! Want to try Veestro at 20% off? USe code: HAPPYLIFE! 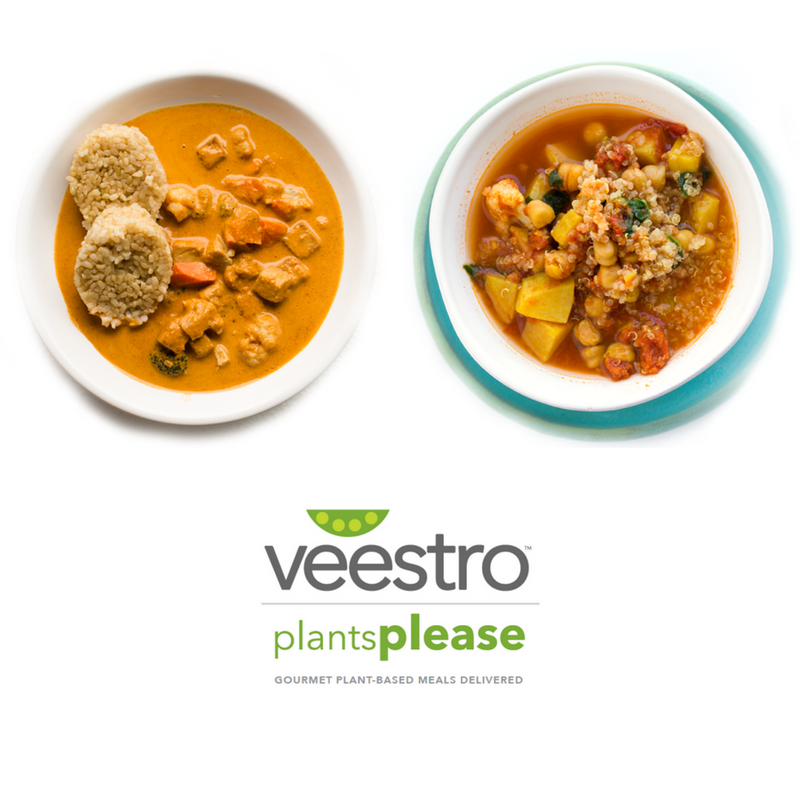 All About Veestro: Veestro provides incredibly delicious meals that happen to be made from plants— all organic, no preservatives, and non-GMO. 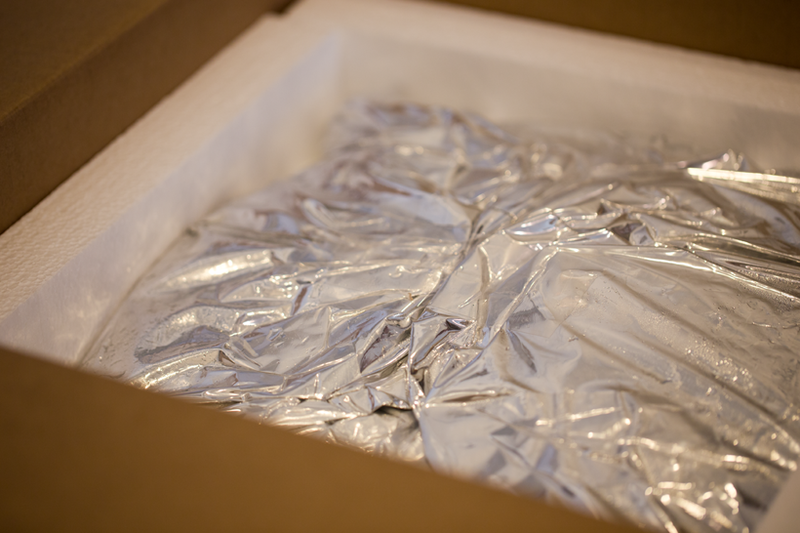 Chef-prepared meals and juices are delivered right to your door, ready to heat and eat when you are. More than delivering great food, we’re delivering happiness to busy people. Veestro shows you don’t have to sacrifice taste and convenience for health-conscious, nutritious food. With a wide variety of meals, you will never get bored with the Veestro menu. Veestro is for everyone, not just for vegans. 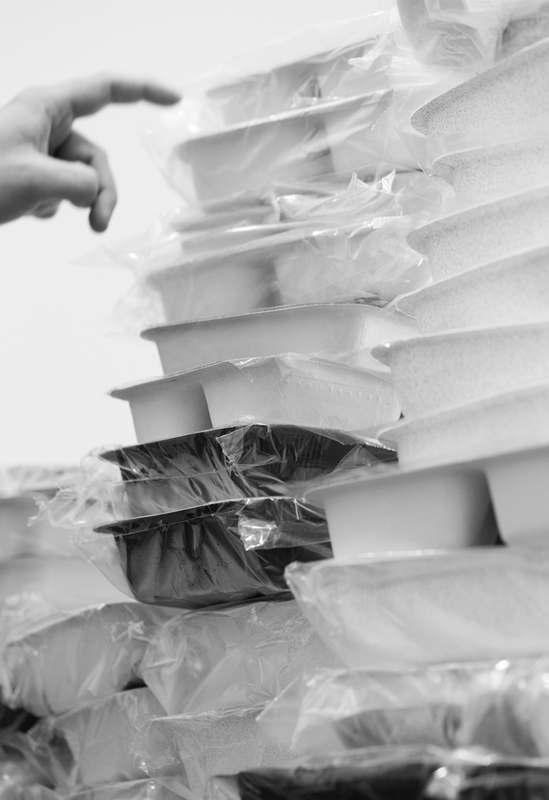 Veestro was founded by a brother and sister team, Mark Fachler and Monica Klausner who wanted to create meals for busy people trying to eat healthy. Veestro’s mantra is: Plants Please. Your taste buds. Your body. Your schedule.
" I would love to try to eat vegan if I had time to cook, or knew how to cook vegan!" Well, Veestro is pretty much the perfect solution to this problem. You can give plant-based eating a try without much commitment to buying a bunch of new ingredients. Then Veestro becomes a doorway to plant-based eating. I hope that if people try and love Veestro, they will get loads of ideas for how they can start to incorporate these meals and recipes into their personal cooking routine. Or if they just want to stay on the Veestro program and have hassle free meals, delivered to their door they can do that too. * juices. They come frozen and you thaw them in your fridge a day before you want to drink them. * Chef-Crafted - so much flavor in these meals so far! * Organic and Non-GMO - Awesome! * 100% Plant-Based - vegan made easy! Mushroom risotto, sorry for the evening kitchen lighting.. Follow along as I share some posts on social media for these three weeks of Veestro tasting. We are already into the first week and have been loving the meals. My freezer is stocked like it has never been stocked before..
My freezer right now. 😳 I hear this all the time.. "I would totally eat vegan, if I had time to cook!" Or "if I knew how to cook vegan food!" I think everyone should be adding more home-cooked, plant-based meals to their diet, but let's face it, that takes TIME. Something we often don't have a surplus of. Now you can let someone else do the vegan 'home cooking' for you. 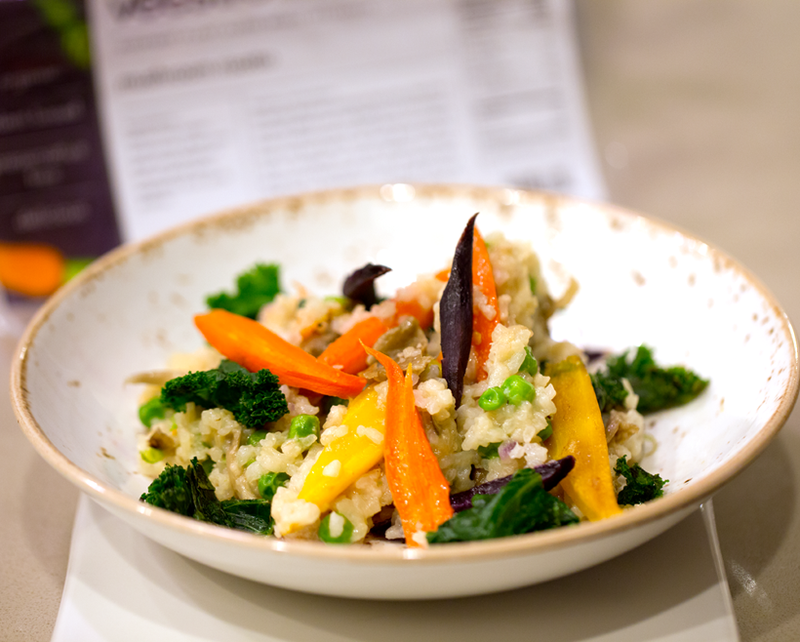 I am so excited to be taking @veestrofood for a spin for the next 21 days via their 21-day kickstart meal program. 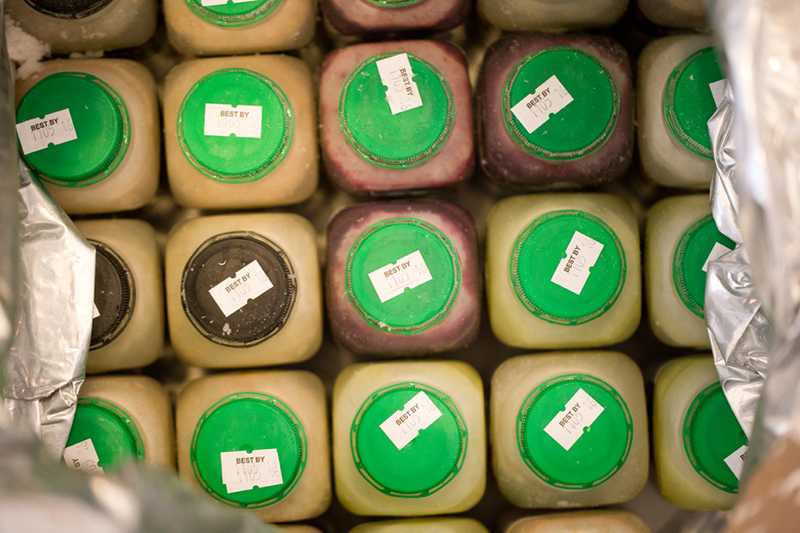 And their juices! I cannot wait to give you guys my candid opinion on these meals, the prices, the service and ease... But most importantly the flavors! My husband already has his eye on the Tuscan Calzone and I cannot wait to try the Enchilada Casserole, Kale and Quinoa Salad with tempeh and Mushroom Risotto. #glutenfree options galore. This is going to be fun. 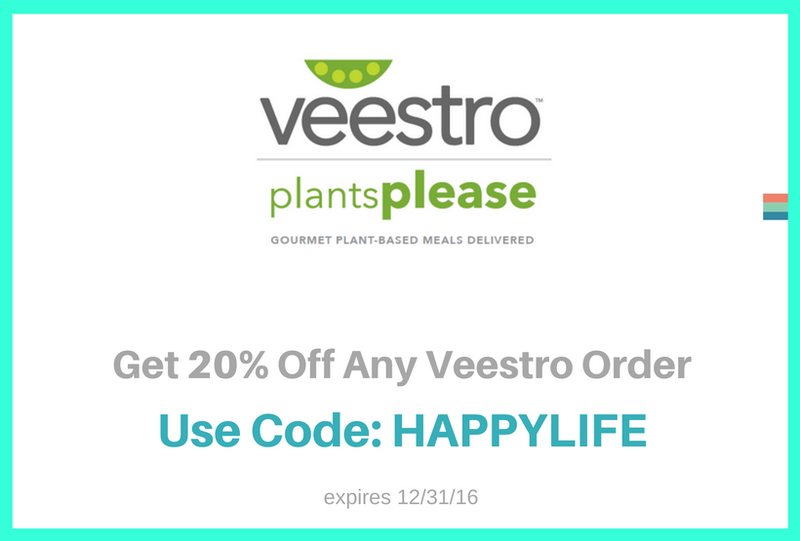 #sponsored #Veestro #organic #VeganMealDelivery #findingvegan #veganfoodshare #vegansofig #vegan More details and a giveaway coming soon to #HealthyHappyLife.com!